I didn’t make this photo, and I am not trying be offensive, sacrilegious, nor blasphemous. 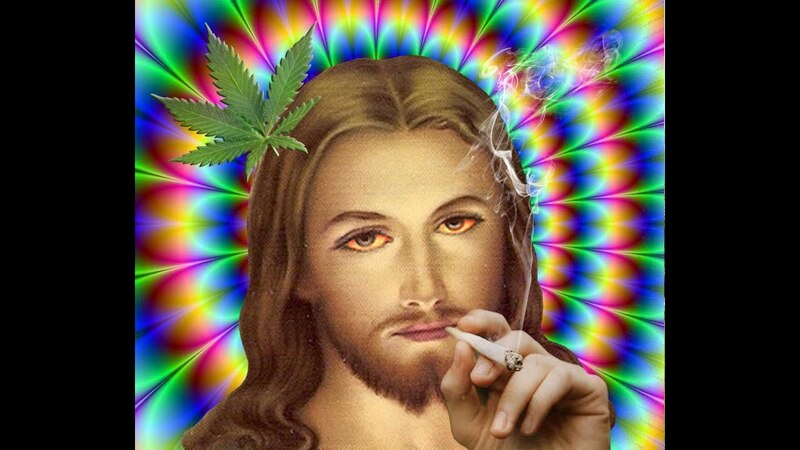 I was shocked to find this photo and a series of other images, articles, ads, rants, and blog pieces about how “Jesus smoked weed.” Let’s back up to the original plan for where I wanted to start this article. 4) The American flag, now most often represented by current service members and veterans. Think how often these major images and themes are used to sell a product or justify a political platform. Over the last dozen plus years, all of these have also been used to push agenda of the very for-profit marijuana industry. You would be shocked to find out how many people claim that marijuana helps dogs with “late stage cancer” (I tried to find the article from NJ.com that was published a few years ago, but alas, I could not). For me, the most offensive manipulation of the American public is when things are described as good for soldiers or veterans. The proliferation of articles on how medical marijuana can benefit the military and veterans is astounding; the one thing they all have in common is a lack of data. Amazingly, Congresspeople have told the VA they should consider giving marijuana to vets. An ambitious reporter should see if any of those politicians received donations from the for-profit marijuana industry. Bernie Sanders has said that he would end the military’s ban on marijuana – it’s an awful policy proposal and shows his clear failure to understand some aspects of addiction and drug policy. The Veterans Administration released an excellent article citing evidence from several studies that marijuana does not help people with PTSD – in fact, it causes further harm. Two years ago, I sat on a panel where a paid advocate for the for-profit marijuana industry said that he knew of a veteran who benefited from using marijuana. It was an anecdotal story – we need to be very careful of these. One will find that most arguments for how marijuana can help soldiers and veterans is anecdotal. My original plan was to end this piece by stating that one day we may see the Bible or Jesus used to justify or sell marijuana. And then I spent five seconds poking around with Google and learned that we are already there.